Three new reports published today by the Python Conservation Partnership (PCP), a partnership between Kering, the International Trade Centre (ITC) and the Boa and Python Specialist Group of the International Union for Conservation of Nature (IUCN), reveal that the wild harvesting and farming of pythons is ecologically sustainable and results in socioeconomic benefits for poor households in South-East Asia. Initially presented yesterday at the Conference of the Parties to CITES (CoP17) in Johannesburg, South Africa, the “Sustainable Management of the Trade in Reticulated Python Skins in Indonesia and Malaysia", “Trade in Python Skins: Impact on Livelihoods in Viet Nam” and “Trade in Python Skins: Impact on Livelihoods in Peninsular Malaysia” reports represent the culmination of three years of scientific research and signify the completion of the research phase of the PCP. · In both wild harvest and captive farming in Malaysia and Viet Nam, the trade improves livelihood resilience by giving poor households the opportunity to increase and diversify income. In addition to these reports, the PCP has developed technical documents to be published later this year on using novel techniques to verify the provenance of python skins. The PCP will also release guidance on best practices for animal welfare and management in python farms and processing facilities. These guidelines will initially be implemented and tested in Kering’s supply chain to help refine them. In 2017, the PCP will enter into a new phase, opening up the partnership to a broader group of stakeholders in the python trade, with the goal of implementing positive and durable change in the industry. "It is extremely encouraging to see the extraordinary progress made by Kering, the International Trade Centre and IUCN – three organisations with different visions, working collaboratively to achieve a common goal," says Tomás Waller, Chair of the IUCN/SSC Boa and Python Specialist Group. "The results of the Python Conservation Partnership's research and successful collaboration show that it is indeed possible to enhance sustainable use of pythons while at the same time providing livelihood benefits for local communities participating in the trade." The Species Survival Commission (SSC) is the largest of IUCN’s six volunteer commissions with a global membership of around 10,000 experts. SSC advises IUCN and its members on the wide range of technical and scientific aspects of species conservation, and is dedicated to securing a future for biodiversity. SSC has significant input into the international agreements dealing with biodiversity conservation. The Boa and Python Specialist Group (BPSG) is a global network of volunteer experts, part of the IUCN Species Survival Commission (SSC). 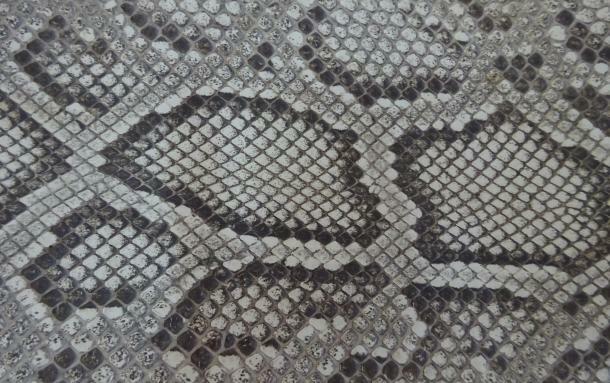 The BPSG is the world leading authority on boas and pythons. Its mission is to provide expert opinion and scientific advice to IUCN and other conservation organizations, government and non-government agencies, applicable to the conservation of boas and pythons.